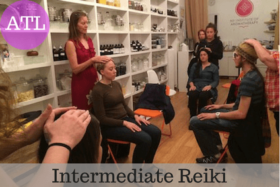 Reiki Master training Atlanta Classes are taught by Michal Spiegelman, Reiki Master, Balance Expert and the founder of Balance Moments. 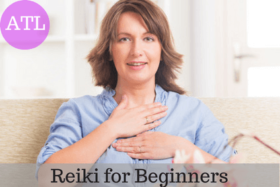 Michal attuned hundreds of people to Reiki so they can tap into this powerful energy and benefit themselves and others. We are on a mission to embolden women to create turning points that will make them feel free, light, and fulfilled so they can live, love, and lead at full power. Active Isolated Stretching (AIS) is a dynamic technique that stretches muscles, tendons, and fascia specific to anatomical planes of movement. It remodels the body using gentle, rhythmic movements that avoid triggering the myotactic reflex, which causes a contraction in the tissues being stretched. Learn a deeper understanding of physical imbalances in the neck, shoulder and arm to help diminish symptoms of Thoracic Outlet and Carpal Tunnel Syndromes. 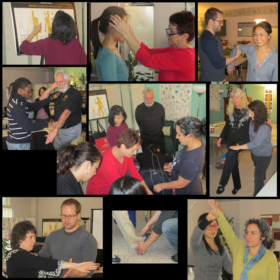 This class focuses on the cervical spine, shoulders, thoracic spine, and costal cage which are greatly impacted by this lifestyle. Build a firm foundation of anatomy and kinesiology of the upper back, apply skills to decrease pain, improve functional mobility, and prevent injury.